Ahh I am so happy with my new bag! I recieved this one last weekend from Fringed (fringed.nl). A fringe-bag has always been something on my wishlist. When I opened the package the bag was quite big, bigger then I expected. But I like that, the bag is lovelier and more useful in this size: I can just put in everything I need, and though the bag is very full it doesn't look like going camping. 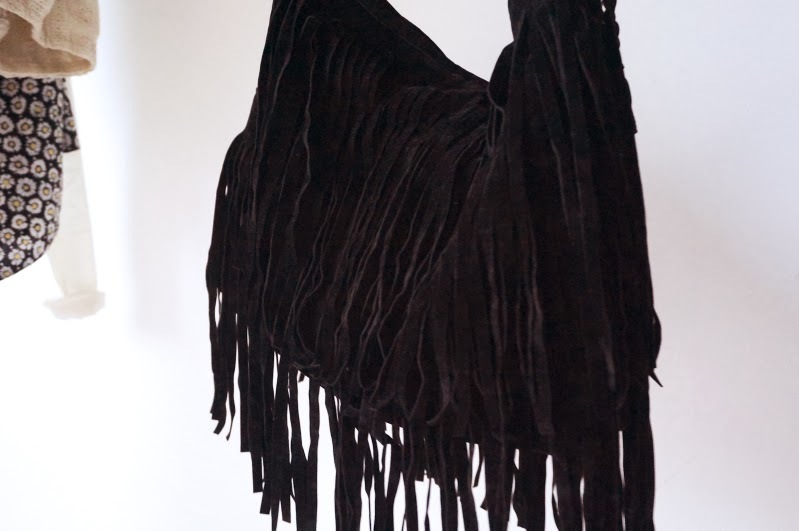 I love the black velvet fringes, they give the bag and your outfit a bohemian and vintage look. The bag has a velvet braided handle and because of that you can make the handle as long/short as you like. If you click on the bag on the webshop there is a quote that says "you can personalize the bag by changing the handle and by cutting the fringes in a size you like", I like the fact that you can make the bag 'your own'. On fringed's website they have a lot more fringe bags and bikini's, love those too! But also some other nice thingies without fringes. Anyways, the bag can be worn with anything, because of the colour, well I would wear it with anything. Did you know this webshop? And what do you think of the fringe bag? Wat een mooie tas, lijkt me erg fijn :) En je outfit is trouwens ook erg mooi, leuk rokje! Also agreeing on the fact that bags full to the brim are not a pretty look. I, too, try to avoid that! They are so bohemian and pretty. I really want one! whaat. this is so cool! i want! 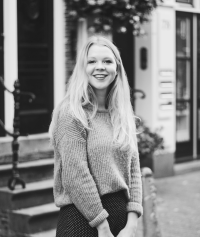 heb jij heb van fringed.nl ?